The Spanish writer Jesús Carrasco lives and works in Amsterdam as a writer-in-residence from June 4th until July 31th at the invitation of the Dutch Foundation for Literature. Jesús Carrasco (1972) wrote his first novel Intemperie in 2013 (translated into Dutch by Arie van der Wal for publishing house Meulenhoff, Dutch title De Vlucht). The book was very well received in Spain and the translation rights are now sold to over 29 countries. The novel was declared Book of the year by Madrilenian booksellers who especially praised the way in which Carrasco combines innovation and tradition with a most intense and powerful style. The Dutch translation is also nominated for the [long list of the European Literature Prize 2014, the prize for the best contemporary European novel in Dutch translation of the previous year. Intemperie tells the story of a boy who is on the run from the people of his village. He then meets a goat shepherd and together they start a journey, trying to survive the drought and heat of the Spanish fields, while the villagers keep hunting them. It appears to be impossible for the boy and the shepherd to escape the violence of both men and nature. During his residence in Amsterdam, Jesús Carrasco will work on his second novel, which tells the story of a man that is deported and captivated during the Second World War. Carrasco will do research for his novel in Amsterdam, a city that was struck to its core by the war. In addition, he will also visit several other cities readings and interviews. Friday June 6th 2014: Interview with Jesús Carrasco at the Radboud University in Nijmegen. Language: Spanish. Public is welcome, but the number of seats is limited so please make a reservation by e-mailing Roos de Ridder at the Dutch Foundation for Literature. Monday June 23th: Translation symposium on Intemperie at the University of Amsterdam. Translators from three different countries present their experiences with translation this novels and will enter into a dialogue with each other. There are several readings as well, also from Jesús Carrasco himself. Thursday June 26th at 7.00 p.m.: Reading by Jesús Carrasco at the Instituto Cervantes in Utrecht. Saturday June 28th: book store tour. 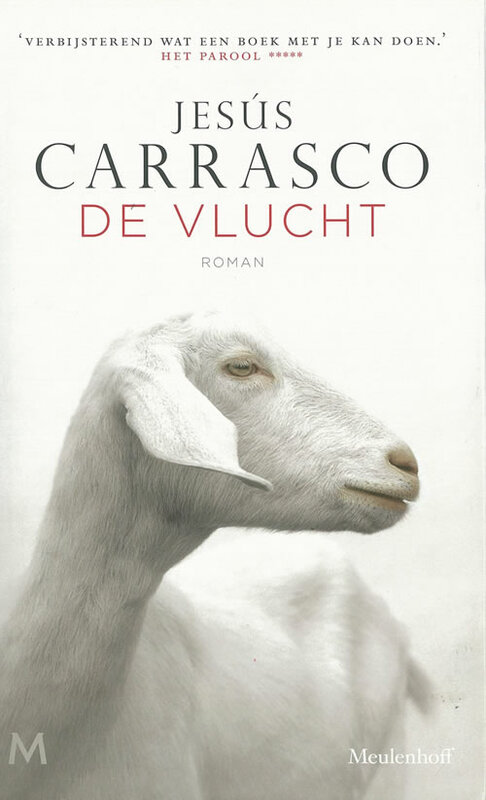 Jesús Carrasco visists this day several bookstores: Van der Velde in Leeuwarden (11:00 a.m.), Voorhoeve in Hilversum (13:30 a.m.), De Algemene Boekhandel in Amersfoort (14:15 a.m.) and Kramer en van Doorn in Zeist (16:00 a.m.). Thursday July 17th at 7.30 p.m.: reading Jesús Carrasco in book store Stockum in the Hague.